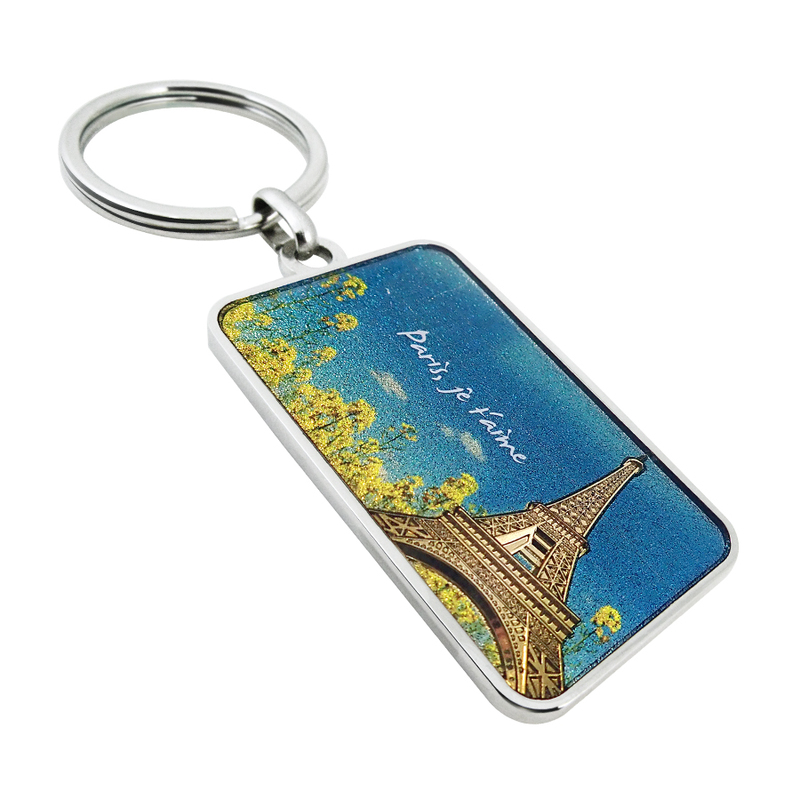 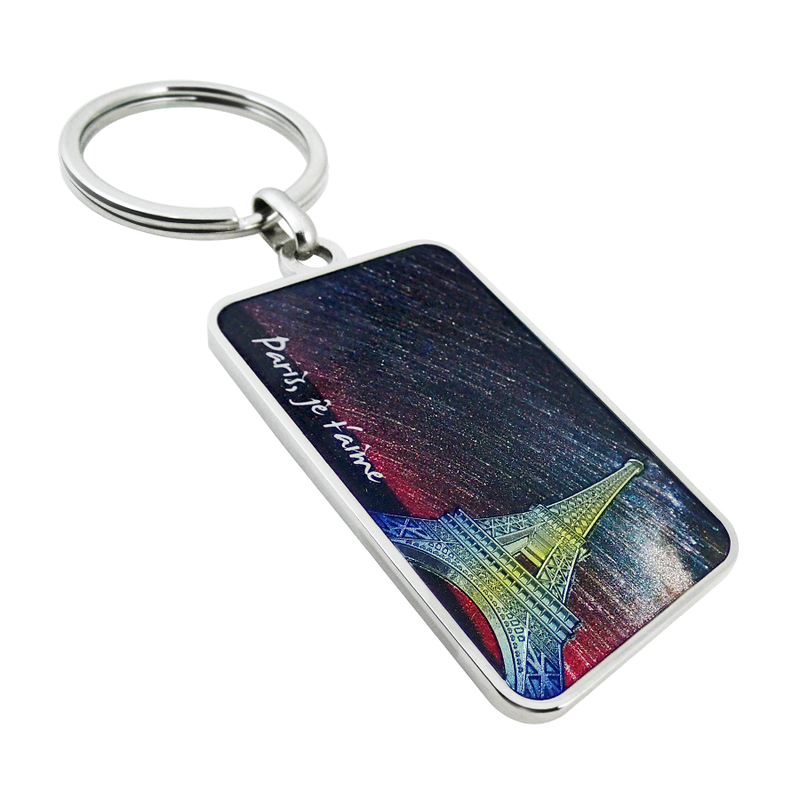 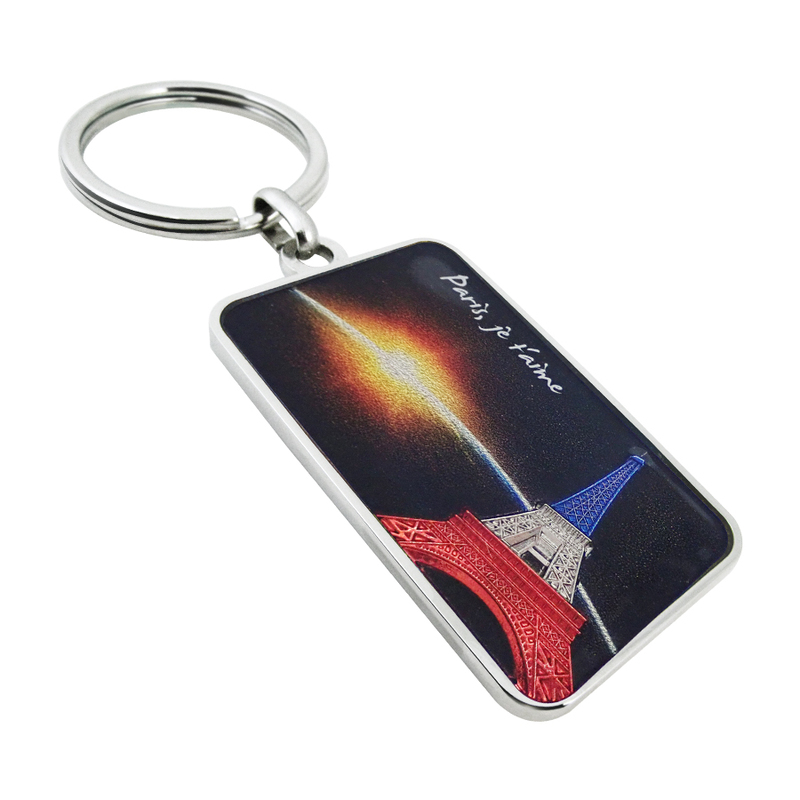 Embossed Eiffel Tower Metal Keychain: This keychain is delicately made with a vivid Eiffel Tower in relief on the right corner. With different colors applied via digital printing, the Eiffel Tower can imitate the plating texture plus gradient effects. 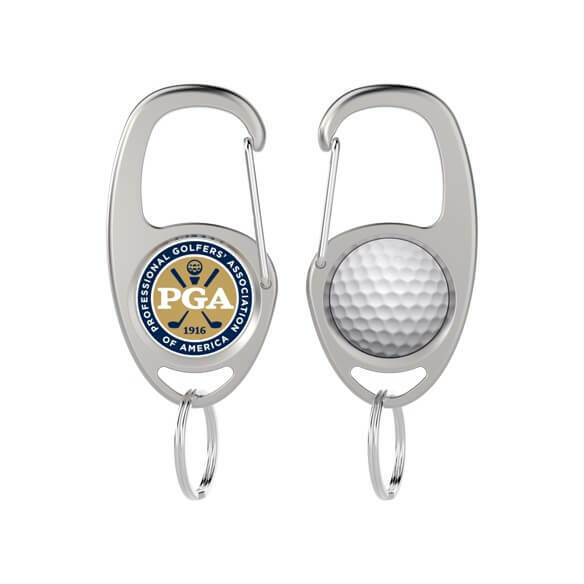 The leftover area can be designed with graphics and logos to serve as promotional gifts or souvenirs. 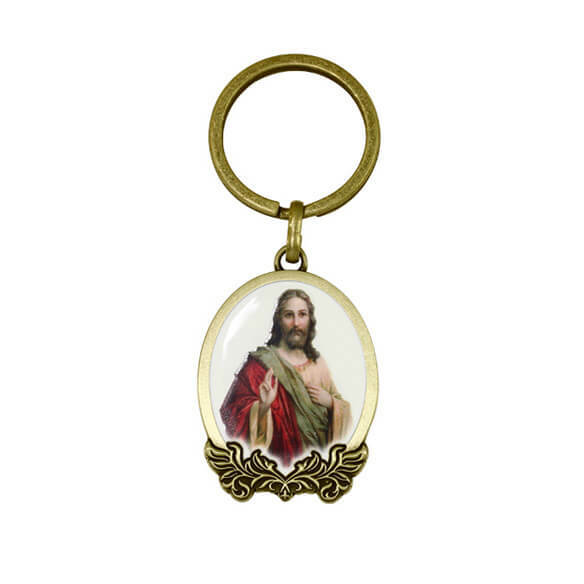 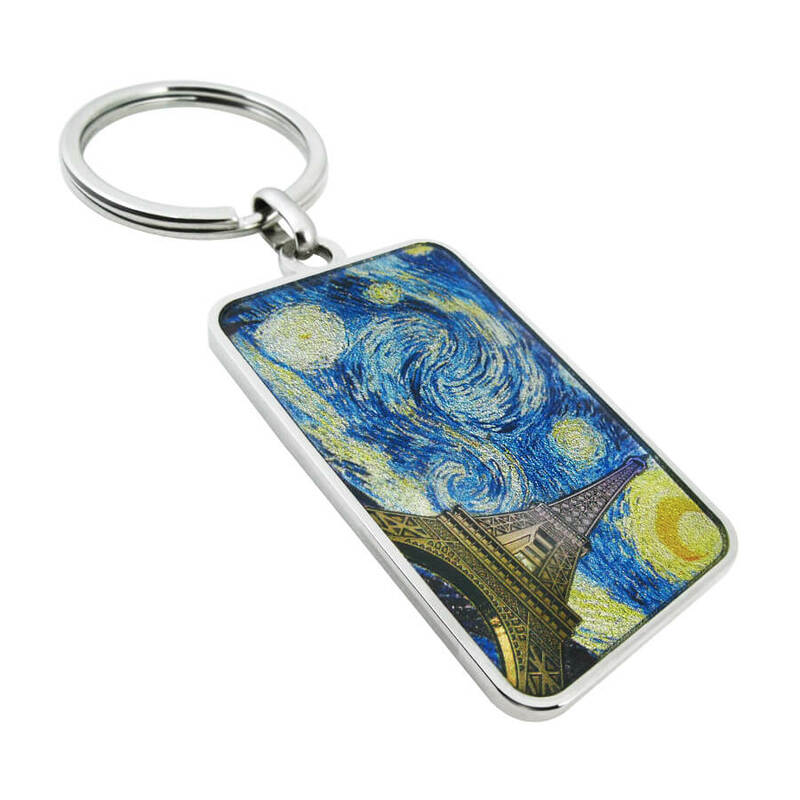 The custom printing will be covered with a layer of crystal epoxy to protect the images as well as to add more texture to the keychain. 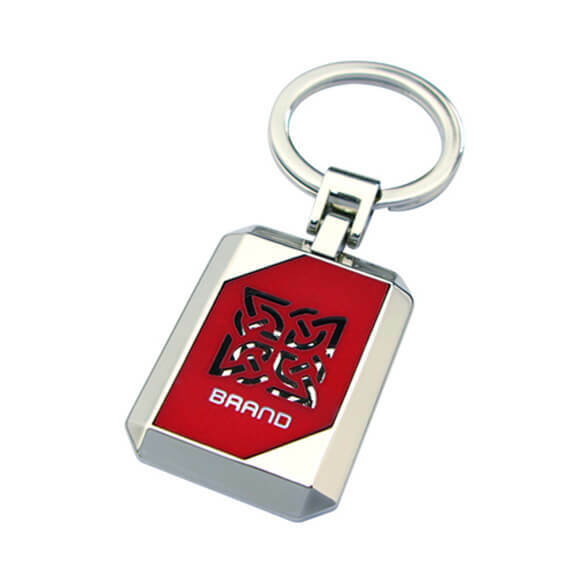 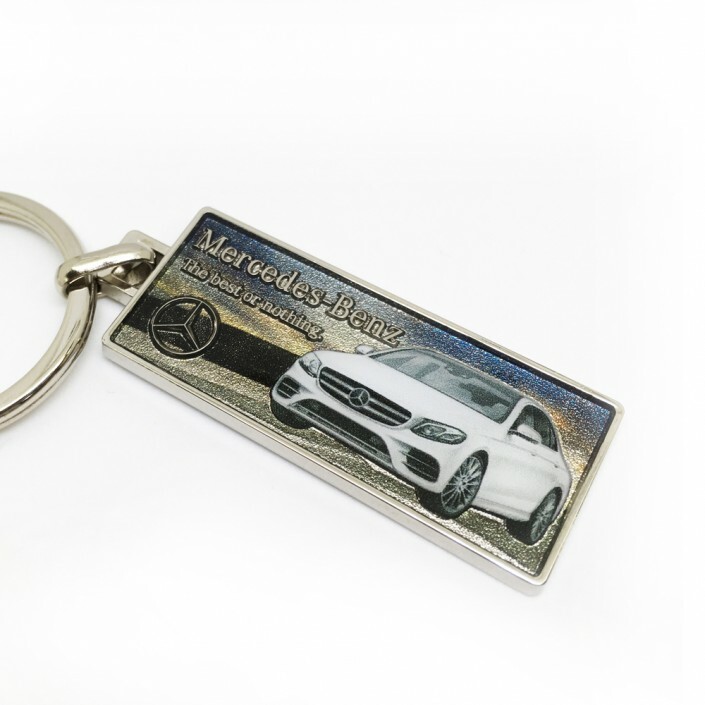 The flat smooth surface on the back of the keychain can also be crafted with laser engraving, screen printing, or digital printing.